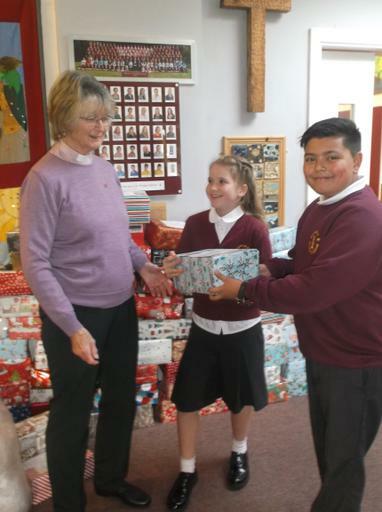 Shoebox Appeal - Huge Thanks! 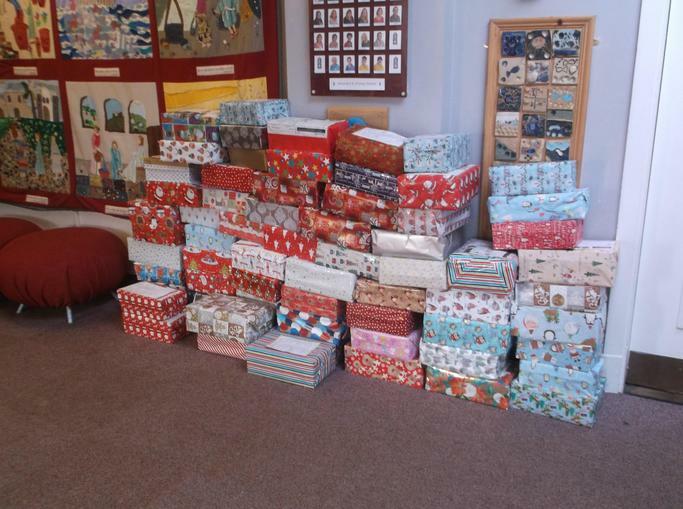 This is a huge thank you to everyone who responded to our Shoebox Appeal. We made a wall of boxes as you can see from the photographs on the school website. Your generosity is going to make Christmas special for families and elderly people who would otherwise have nothing. There were 84 boxes in our wall and with those from the church we are sending 99 boxes altogether. The boxes will be picked up from here and taken to the dispatch centre of Live in Hope and by next week be on their way to Eastern Europe accompanied by volunteers who will give them to people in the villages.